We have a wide range of Stainless Steel Fruit Bowls in different materials. 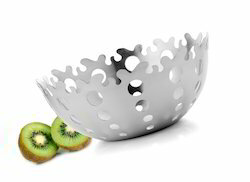 These Stainless Steal Fruit Bowls are crafted with the latest designs and can be customized. Our clients can choose from a wide range of Bowl crafted from various materials and finish.